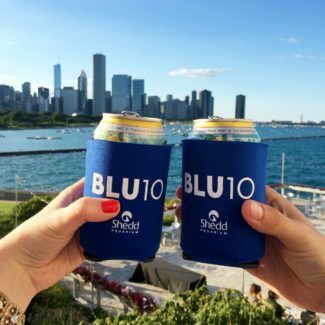 SheddBLU is one of my favorite events of the summer. 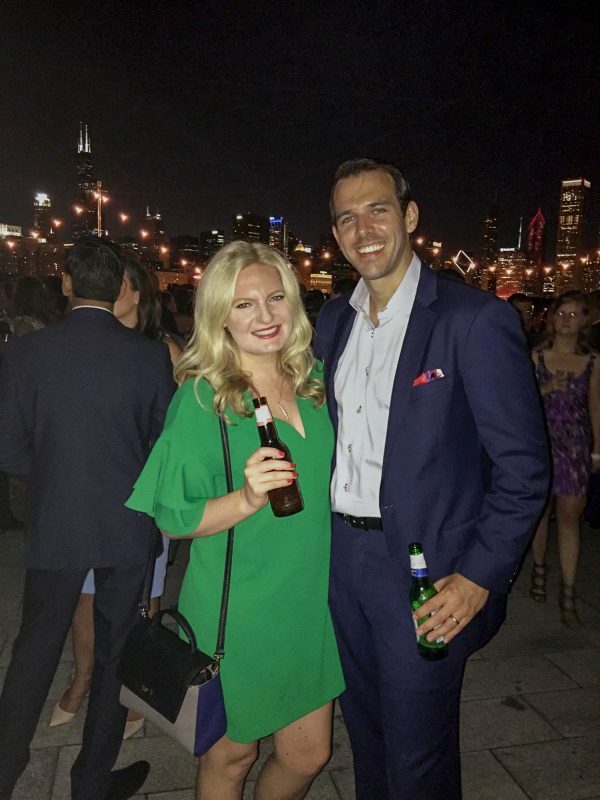 This was our fourth time attending the annual fundraiser for the Shedd Aquarium, and it was incredible as always. 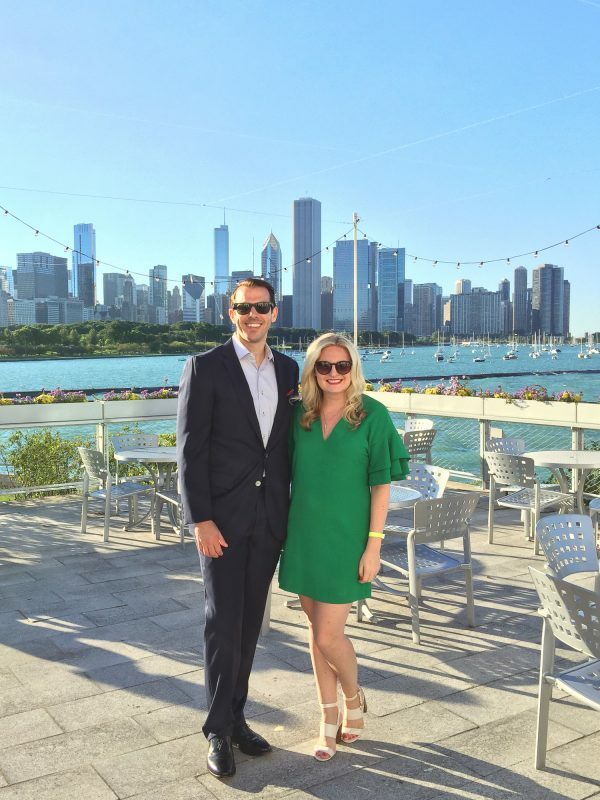 Somehow the weather is always perfect, and the combination of bites from Chicago restaurants, cocktails, dancing, skyline views, and an entire aquarium to explore make for the ultimate date night. 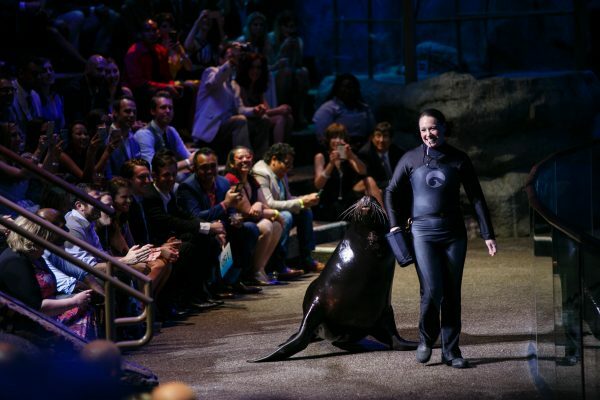 The Shedd Aquarium describes the event as a party with a purpose for the planet. 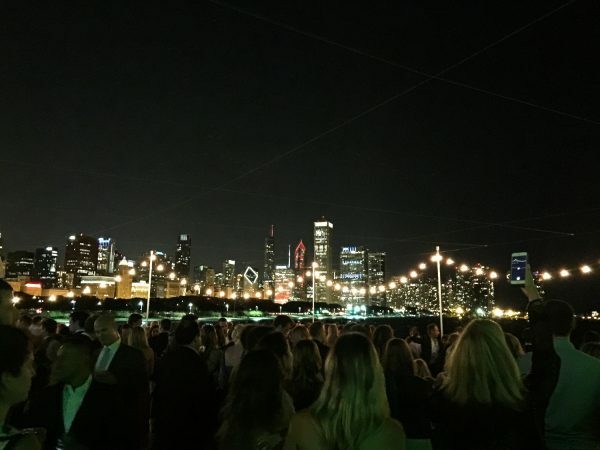 The money raised at the event goes towards the Shedd Aquarium’s rescue, conservation, and education initiatives. 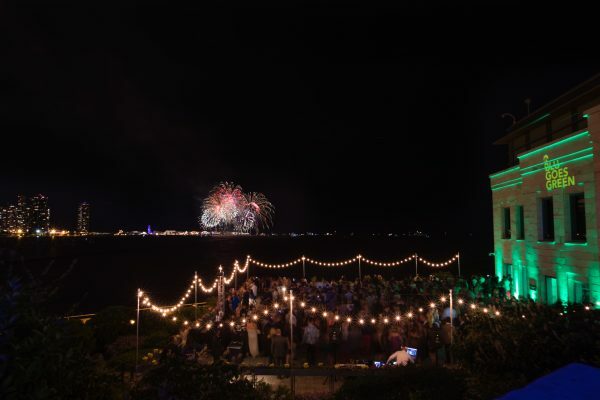 This year the event raised more than $400,000 dollars! 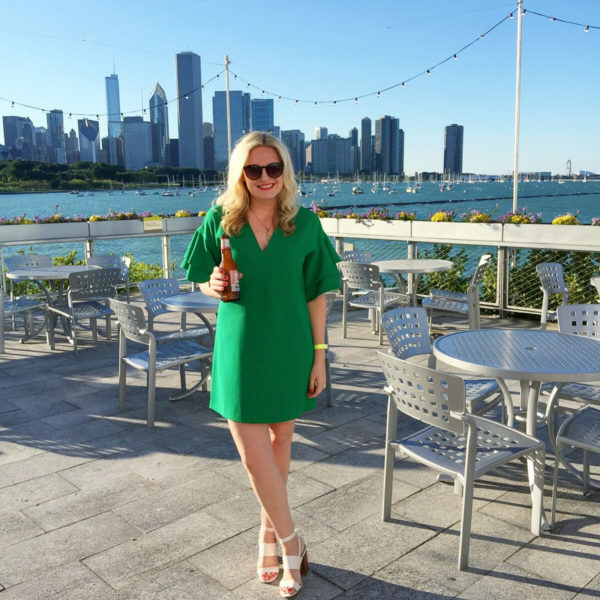 The night starts out with drinks and light bites on the Shedd Aquarium’s terrace, which offers unparalleled views of the Chicago skyline. A few of the penguins stopped by to say hi – I think this was the highlight of Ashlee’s SheddBLU experience. This year Charles and I were joined by a bunch of our friends including Sarah from The Kissing Booth, Jess from 26 and Not Counting, and Jenn Lake of Style Charade. (Go check out their sites because they are awesome). 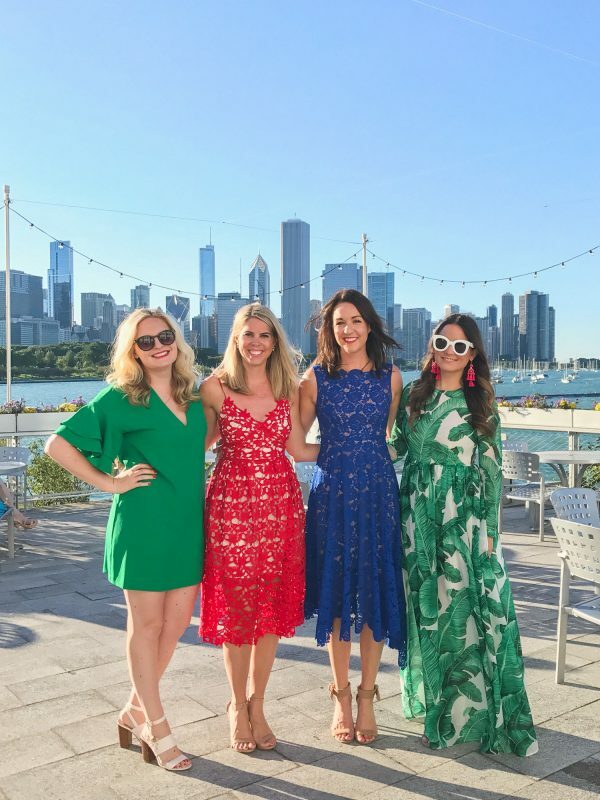 Having a crew of friends with us made SheddBLU even more fun (for future reference they do offer group ticket packages for the event). 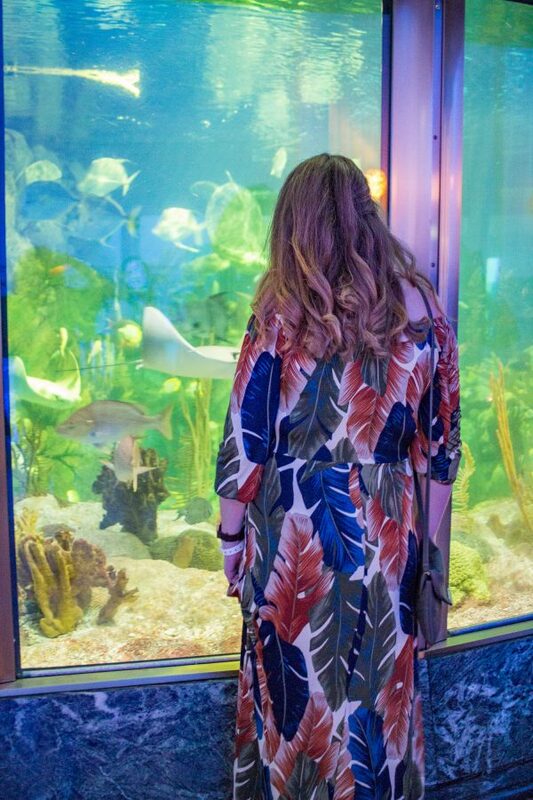 After the cocktail hour, we moved inside to explore the aquarium and to taste bites from more than 20 Chicago restaurants. 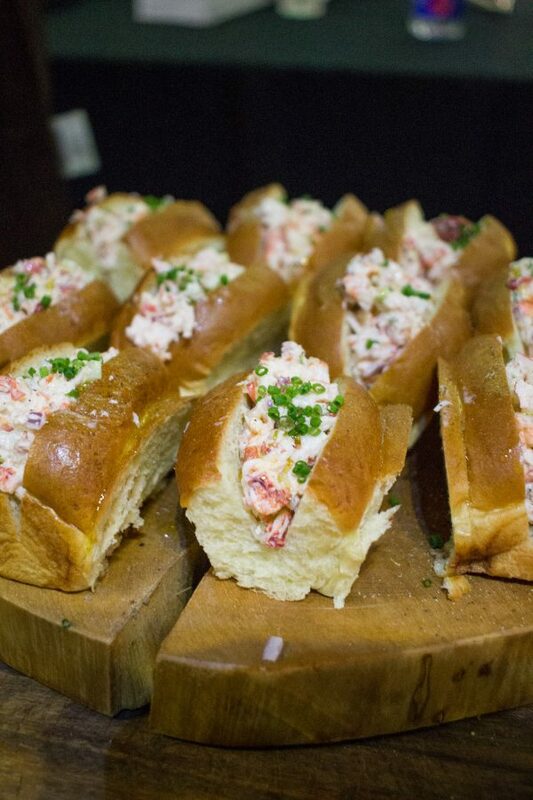 We feasted on mini lobster rolls, sliders, short rib mac and cheese, bao, mini slices of caramel pie and more. 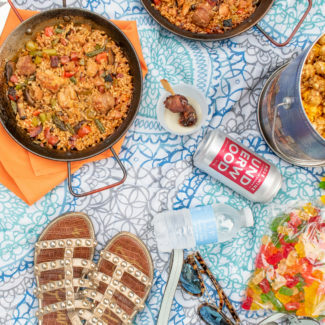 There was plenty of food and so many different things to taste! Then it was time for the aquatic show. 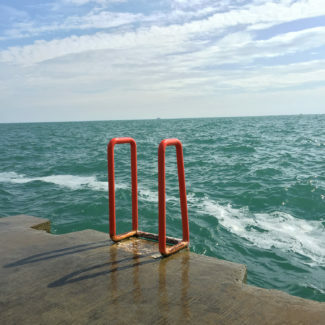 This is always a highlight of SheddBLU. We were introduced to a sea lion named Tyler who was part of the U.S. Navy’s marine mammal program until he lost vision in one eye due to a cataract. Then the dolphins took the stage doing jumps and flips. 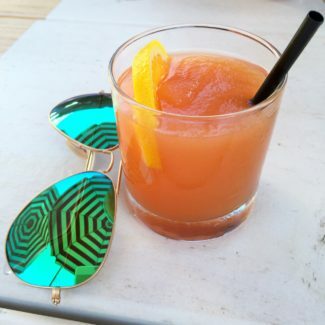 After the aquatic show, the party really got going with music and drinks on the terrace. Late night pizza was a fun touch, and a great snack to enjoy while watching the fireworks bursting over Navy Pier. At the end of the night, everyone boarded buses that took us to Hubbard Inn for the after party. I love that they always provide transportation to River North at the end of the night – it is so much easier than having hundreds of people trying to simultaneously order ubers. 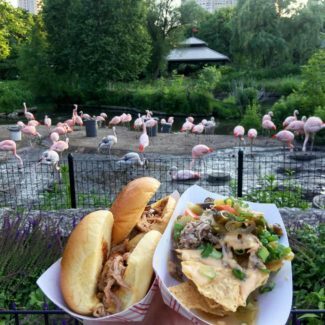 If you missed SheddBLU, you can still go to Jazzin’ at the Shedd. 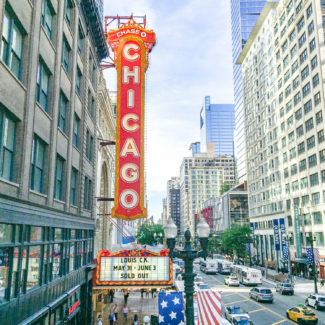 The weekly event takes place on Wednesdays through September 13th and is an opportunity to enjoy live jazz music on the terrace, explore the aquarium, and watch the Navy Pier fireworks. In case you are curious, I am wearing this $50 dress from Zara.